HoPiKo sounds like it could be a breed of Pokemon, but in actual fact it is a speedrunner puzzle game from developer Laser Dog, where you control a pixelated super hero (HoPiKo), who has to save gaming by defeating the nasty Nanobyte virus. This has infected consoles leaving gamers distraught, and enslaving your fellow HoPiKo. It is your duty to rid the infected consoles of the virus and thereby save gaming itself, while also rescuing your community from Nanobyte enslavement. Our HoPiKo hero launches into action. The HoPiKo of the title are tiny pixelated characters who reside inside games consoles, and make sure games work and play correctly. An interactive documentary? Who knows. Unfortunately for the HoPiKo, the Nanobyte virus has infected consoles around the world and enslaved them all. 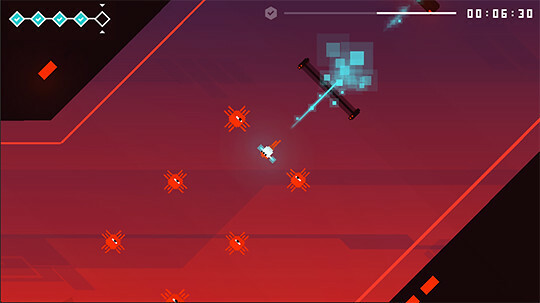 The player takes control of the last remaining HoPiKo, who has to rescue his brethren. HoPiKo is a simple game to play, using only the right thumbstick and one button for play. However it is also a very tricky game to master, with great speed and sharp reflexes required to work your way through the hundreds of bite-sized levels. Each one takes mere seconds to get through, as you leap from platform to platform, avoiding all kinds of nasties before launching your HoPiKo into the virus corruption at the end of the stage. The problem is, you need to complete five levels in a row without dying in order to rescue some of your fellow HoPiKo and flush the virus from the infected games console. Trial and error is required to get you through the levels without dying, and believe us you will die a lot while playing this game. If you do die during any of the run of five levels, you return to the first level, so you can end up playing through the levels many times before you complete the stage. This might be too much for some people with little patience, but the fact that each of the levels takes seconds to complete does make it a bit less frustrating, although it can get pretty tense when you reach that fifth and final level. There are various collectibles like this GameBoy that are dotted around levels, which unlock bonus runs. The graphics are a nice homage to the 8-bit era, with simple sprites and a monochrome colour scheme which harks back to the ZX Spectrum age of gaming. The soundtrack is also worthy of a mention, as its catchy chiptunes were composed by the developer on a Nintendo Gameboy, and they really add an extra layer of retro love to the game. Controlling your HoPiKo is simply a case of pointing a cursor to where you want your character to go, and releasing the stick when you’re happy. Needless to say there are many traps and platforms to negotiate in each of the tiny levels, with moving platforms, lasers, platforms that explode after three seconds, and corrupted platforms that are infected by the virus that kill you on touch. Some parts of the virus will even chase you. 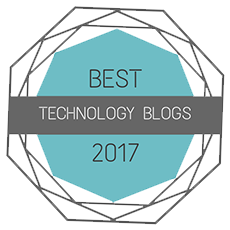 While the controls work pretty well, there were a few times when we let go of the stick and our HoPiKo didn’t go the way we expected it to go, and launching our little hero ended in an instant death. This does get quite annoying after a while, especially when things get really frantic later on in the game, and the tiniest error can see you having to start the levels again. The Switch gives you the option of playing with the touch screen in handheld mode, but using the touch screen does add its own niggles, with aiming feeling quite twitchy and taking too long to get right. 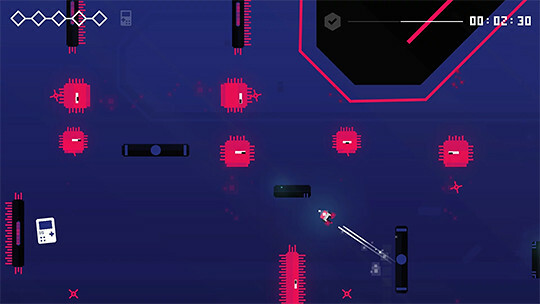 There are also a few levels when you have virtually no time to move from the first platform as an enemy bears down on you, so you have no chance to scope out where you want to aim your HoPiKo, which feels mightily unfair. That big mass of squares on the left is the Nanobyte virus that you need to launch your HoPiKo into to complete the level. 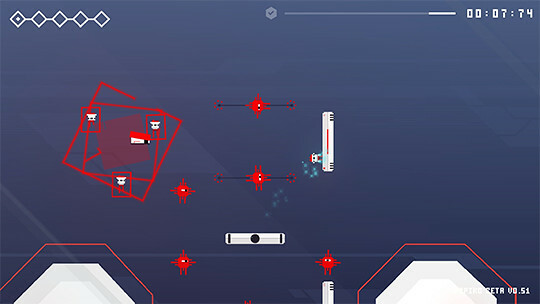 HoPiKo is a rock solid speedrun platformer with some well designed, devious levels to negotiate.You need quick reactions, as the game is very fast paced, and memorising what pitfalls are coming is crucial to succeed. 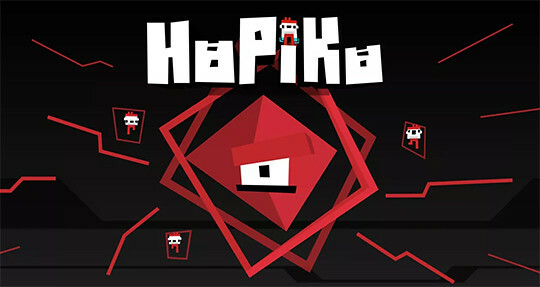 While those with little patience may struggle to stay the course, HoPiKo is a crafty little beast that digs its claws into you and urges you to play one more level. While it’s simple in its execution, it’s really satisfying to play, with plenty of additional mechanisms and Nanobyte traps thrown at you as you progress through the game to keep you on your toes. It’s gorgeous to look at, with a catchy retro soundtrack; if you’re looking for a puzzle platformer with a challenge, then HoPiKo should definitely be on your radar.